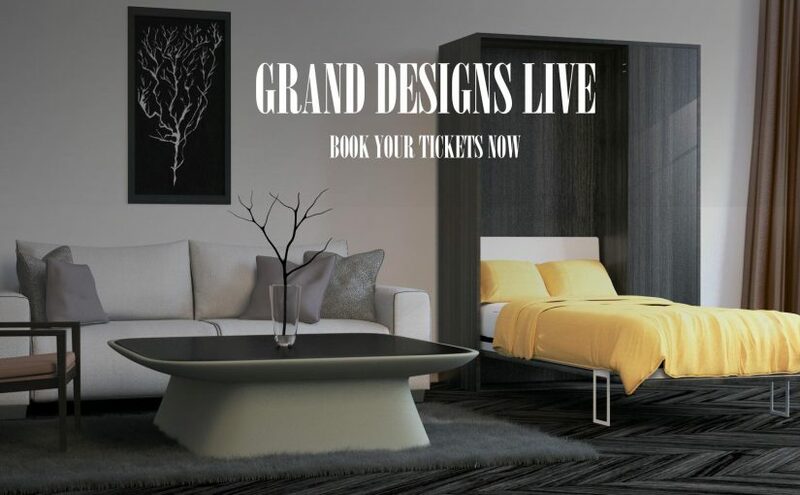 Furl @ Grand Designs Live 2016 – Book your tickets here! We are officially on countdown to Grand Designs Live. Not sure if any of you managed to come and see our stand last year? However this year, it is twice as big and will be twice as fantastic. So, if you haven’t yet made a trip to our showroom, do not panic. You can visit us at the Excel in just 2 months and 22 days. See, we told you we were counting! Now to those who don’t plan ahead, this may seem like ages away. But for those who love a good bargain, now is the time of the early bird ticket sales. Right now Grand Designs Live are giving a fantastic deal away – 2 tickets for £22 with the code GDL22. Last year at Grand Designs Live, we met new friends, reminisced with old customers and had a week to remember. We opened and closed our wall beds around 200 times a day, and laughed every time sometime ran over to take off the glasses filled with water that they thought would fall over. With our clever mechanisms and cantilevering desk, your glasses of water can stay on the desk whilst the bed comes down. Now that is something that you know you just have to come and see for yourself. So the show is on from the 29th April until the 7th May. Are you renovating your home and need new furniture? Are you looking for a way of turning a spare room back into a useable room for most of the year? Looking for a little more storage? Then our stand is absolutely the one to visit. Grand Designs Live has been one of the biggest interior inspiration and home renovating shows for years. We are so excited to be able to inspire you again this year.